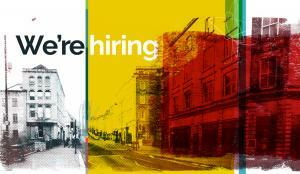 We’re looking for a SENIOR ACCOUNT EXECUTIVE to join our talented Client Services team. You’ll have at least six months agency experience with a good level of (and passion for) digital knowledge, your attention to detail will be superb and you’ll be extremely organised (as we’ll need you to coordinate work internationally!!!). On top of that, if you’ve got a bit of nous, bags of enthusiasm and a desire to add value to everything you touch, you’ll really see your Marketing career take off. If this sounds like you, get in touch. We can’t wait to meet you. No agencies please, we are flying solo on this one.